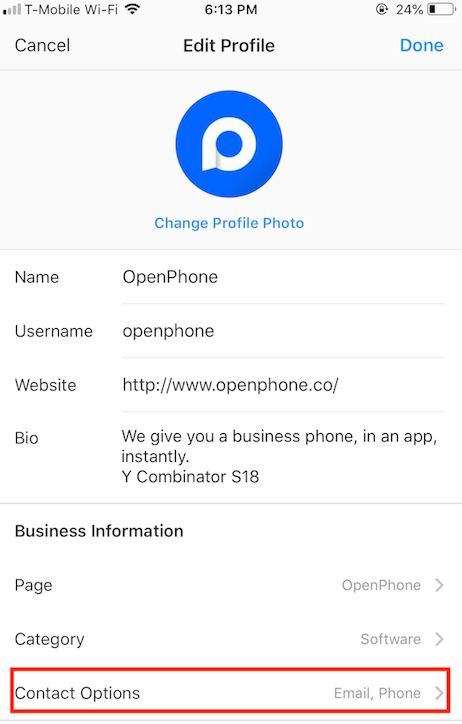 Here's how to add your OpenPhone number to Instagram so that customers can call or text your business phone number instead of your personal one. 1 - If you have a Facebook page, link it to your Instagram account. Please note: you first need to be an admin of that Page on Facebook. By default, your Instagram account will link to your personal Facebook timeline. To link to a Page instead, choose a Page that you manage below Share to.